Japanese properties have always been a big draw in for kids in India on television and its no surprise that Pokémon scores very high in India on popularity not just on the content side, but also on brand recall, popularity, and merchandise. Millions of kids tuned into the show in the early 2000s when it was a big hit on television. With its re-launch on Disney in the summer of 2014, Pokémon has emerged as a winner for a new generation of kids all over again. The show airs on Disney XD in Hindi, Tamil, Telegu and is also available on VOOT and is one of the most popular shows on both platforms! The advent of Pokémon GO saw young adults, who were die-hard fans in the early 2000s, re-dialing into the franchise with renewed energy. The result Pokémon is one of the few franchises, which has the distinction, especially from an Indian scenario, of finding resonance both with kids who continue to watch and adore the show and adults who grew up with Pokémon. 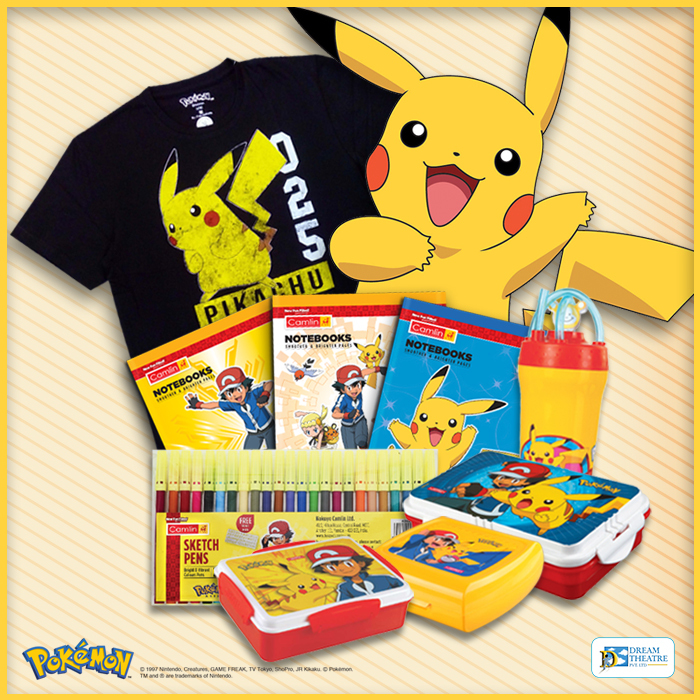 On the merchandise front, Pokémon is one of the widest licensed properties with products across 15+ categories from apparel to bags to home furnishings and more. On the adults’ front, the Pokémon Jack n Jones collection sold out in record time and Pokémon apparel is one of the top-selling apparel range on E-commerce platforms like Myntra and others. With prices starting from INR 25 for Camlin’s stationery range, there is something for every fan to buy! And that’s not all, with more than 700 Pokémon to collect, Pokémon is one of the hottest Promotional Licensing propositions. Kellogg Chocos and Cadburys Gems & Lickable have run extremely successful promotions with kids collecting Pokémon figurines, toys, cards and more! So if you are looking for a property that ticks all the boxes on massive popularity, universal appeal, strong presence on TV and VOD and successful products across categories, look no further, Pokémon is your answer! Previous PostPrevious Oggy – The most loved cat in India!